Militants in Gaza launched a barrage of rockets at Israel early this morning as the deadliest attack against Israelis in three years threatened to escalate. Israeli aircraft had responded to yesterday’s attack, in which eight people died, by striking targets in the Palestinian territory. 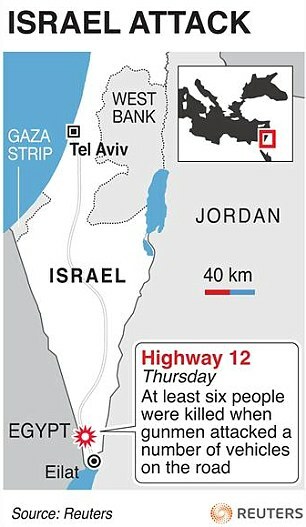 Yesterday, gunmen who appear to have originated in Gaza crossed into southern Israel through the Egyptian desert and ambushed civilian vehicles traveling on a remote road in southern Israel. 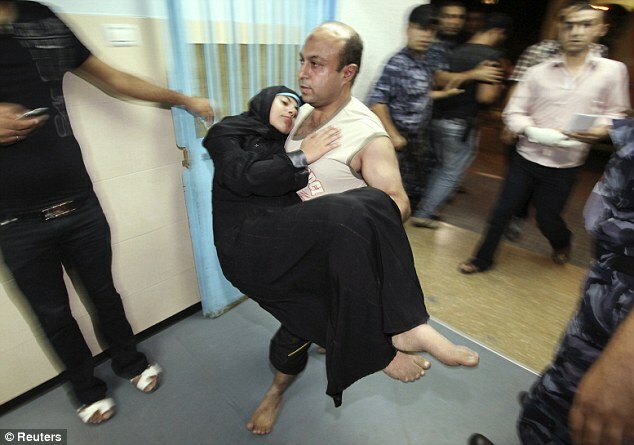 Injured: Palestinians carry two wounded wounded boys into Al-Shifa hospital following the Israeli air attacks on Gaza CitySix of those killed were civilians and two were members of Israeli security forces responding to the incursion. The attack signaled a new danger for Israel from its border with the Sinai Peninsula, which had long remained quiet under the rule of deposed Egyptian leader Hosni Mubarak. become increasingly lawless. Hours after the initial attack Israel responded with an airstrike that killed five members of the Palestinian group that Israel said was behind the incursion, an organisation known as the Popular Resistance Committees. The dead included the group’s leader. 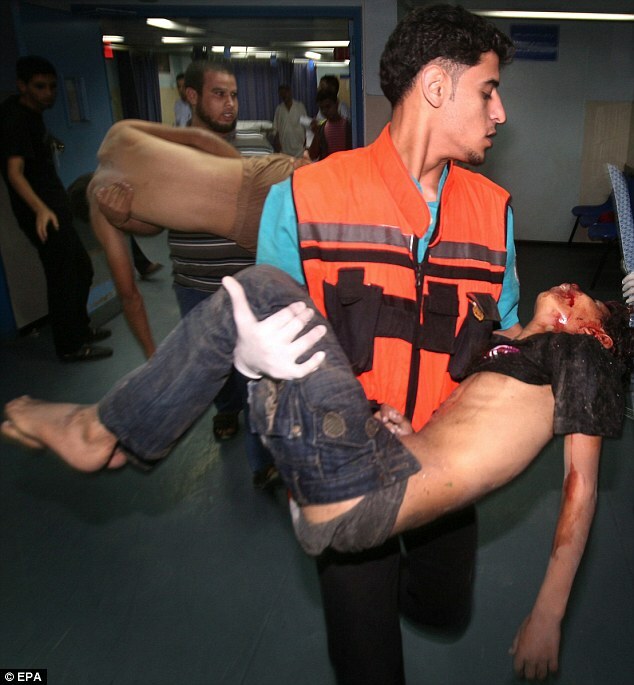 militants would avenge the killing of the men in Gaza. 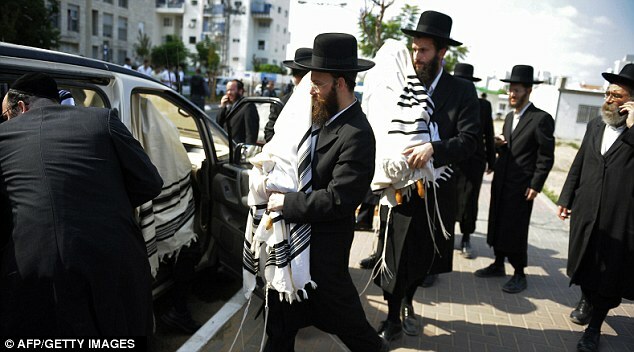 Scroll savers: Ultra Orthodox Jews evacuate Torah scrolls from a synagogue that was damaged following a Grad rocket attackfrom the Gaza Strip in Ashdod. Hamas denied any connection with the attacks, but hurriedly evacuated all of its security facilities yesterday in anticipationof more Israeli retaliation. 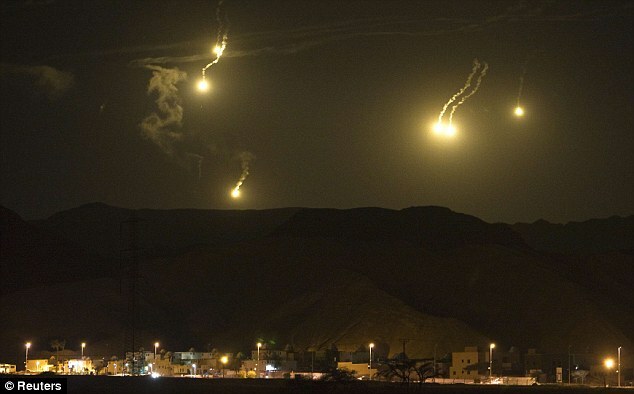 Those strikes continued through the night, targeting what the military said were smuggling tunnelsand sites used by gunmen. 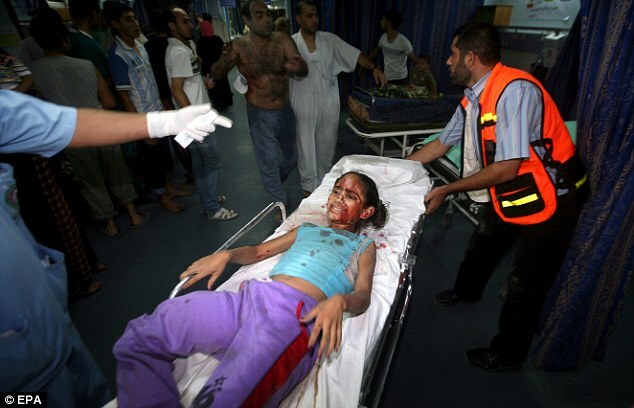 Hamas officials said two children, aged 3 and 13, were killed in the Israeli strikes. The Israelimilitary’s chief spokesman, Brig. 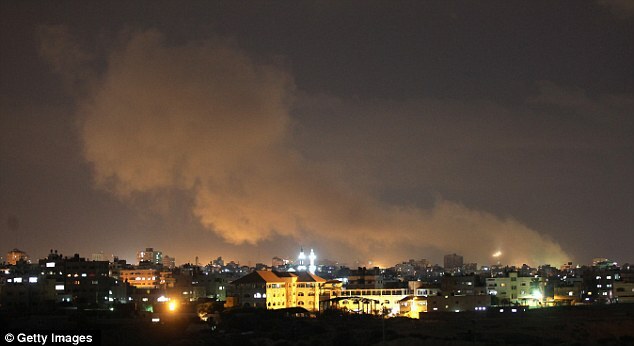 Gen. Yoav Mordechai, said it was ‘too early’ to say that a broadescalation in Gaza was imminent. exact a price from Hamas,’ he told Army Radio this morning. 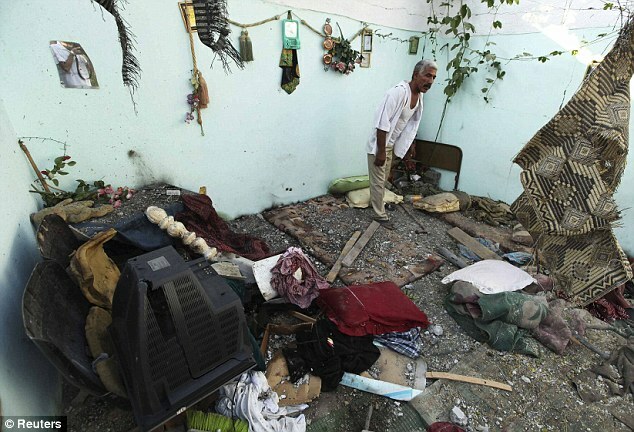 Militants in Gaza launched at least 10 rockets into Israel today, the military said. 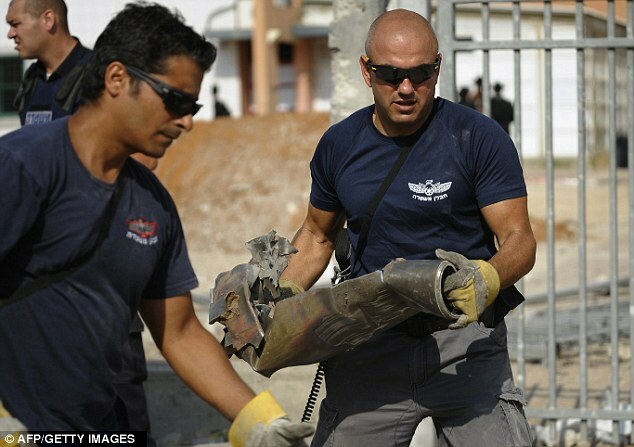 One, aimed at the city of Ashkelon, was intercepted by the new Israeli anti-missile system known as Iron Dome. Another hit the port city of Ashdod and wounded six Israelis, according to Israeli emergency services.Israel’s south has been equipped with early warning systems and bomb shelters over years of rocket fire from Gaza, and thosemeasures have helped keep casualties low. 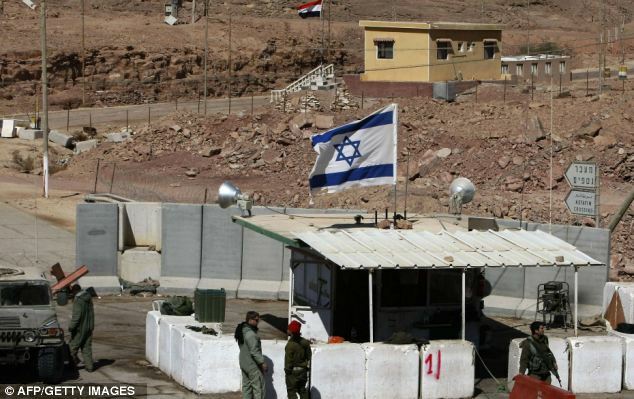 The attacks focused Israel’s attention on its border with Egypt – 125 miles of mountainous desert with no fence for most of its length. The border has traditionally been crossed mainly by Bedouin smugglers ferrying drugs and thousands of Africanasylum-seekers into Israel. 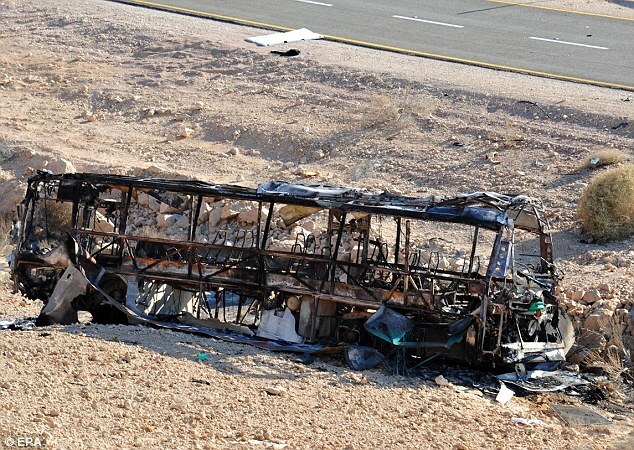 Yesterday’s attack – the deadliest for Israel since a Palestinian gunman killed eight people in a Jerusalem religious seminary in 2008 – took place near Israel’s popular Red Sea resort city of Eilat, currently at the height of the tourist season. Some 20,000 British tourists visit Eilat each year. 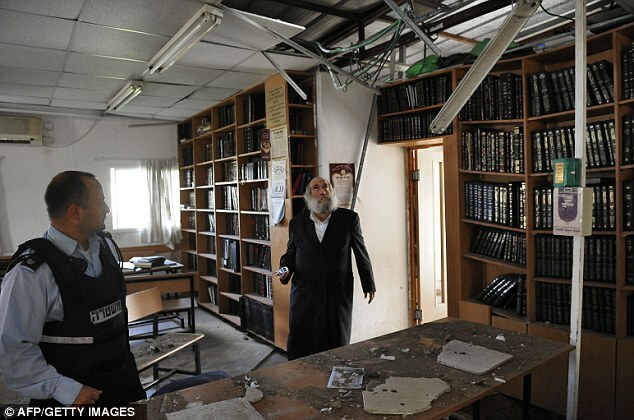 The last terror attack there was in 2007.
unaffected. Joggers and cyclists were visible along the beach. Resident Zion Cohen, 53, said the steady stream of African migrants crossing the border with ease in recent years showed that an incursion like the one on yesterday was only a matter of time. What bothers me is the unbearable ease with which they cross the border and the knowledge that… every day, every minute and every hour something can happen like yesterday,’ said Cohen said.A new fence is currently under construction, and the military says it will be complete by the end of 2012. In hot pursuit: Israeli Police and Special Forces made arrests in connection with the attacks Yesterday’s attacks began after midday when a bus carrying civilians and soldiers was attacked by gunmen who had crossed into southern Israel from Egypt. 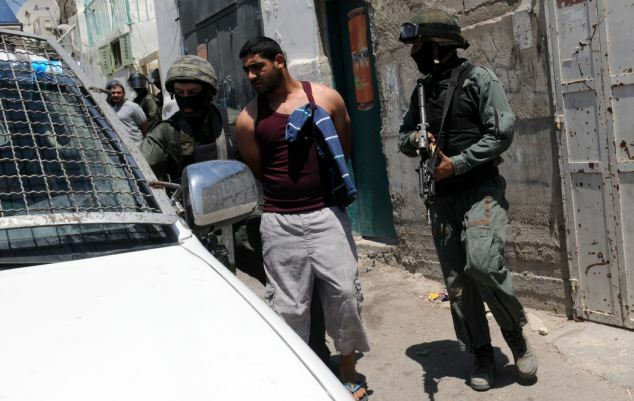 Over three hours, the militants, disguised in Israeli army uniforms, attacked two buses and civiliancars. An army patrol was also targeted. A young woman who was on one of the buses when it was ambushed recounted terrifying scenes to Israel’s army radio: ‘Suddenly there were bullets flying into the bus from everywhere. We all dropped to the floor. There were soldiers on the bus. ‘They pointed their guns out of the window and returned fire.’ Minutes later, an anti-tank missile was fired at several cars on the same road, wounding seven. Israeli army vehicles then drove over improvised explosive devices as they raced to the scene, with an explosion injuring several soldiers.